Walsine Pierce: GRAB ME QUICK: I'm gonna fly away! No, not like in "Some glad morning, when this life is 'ore, I'll fly away". I mean like in I've eaten so many chicken wings I can't keep my feet on the floor. QUICK, GRAB A HOLD! Well, thats my story and I'm a sticking to it! uh huh! No, I'll not let the truth get in the way of a good story. WHAT IN THE WORLD AM I TALKING ABOUT? Why, it was our last outing for the year for the Out with Friends for Dinner Group. It was Bill and Carla Ludwig's choice and they, or shall I say Bill, chose Jerzee's Sport's Grill. The couple making the choice must try the place out, make reservations and then mail menus to everyone in the group. Featured on the menu was a whole page of wings. Must have been a couple dozen different flavors with assorted degrees of heat. I ate soooo many wings. Julie pooped out after about six or so. I couldn't finish them off but I did do my best. Thats why I'm having a "lift off" problem today--grab a hold, quick! WHAT DID THE WINGS LOOK LIKE. No "before" picture but here is an "after" picture. What do we do at these outings? Take a peek at this trio and decide for yourself. GAB GAB GAB. What did they talk about? Who knows. It was so noisy no one could hear anything. That may be why Donna, Carla and Julie have their heads together? At our outings you get to see the "good, the bad and the ugly". The good? Well, there's me. UMMMM again! The bad? Check out these characters. Don and Carl have hit bottom but Bill is still pushing it in. Look at this "ROSE BETWEEN TWO THORNS" Looking good Sally! But, seated between Carl and Don how could she not look good? Was everyone happy? Maybe, maybe not. Bill Ludwig, whose turn it was to drive the Pierce's this time, complained that we were in the grill for three whole hours. I told him that just went to show what a good time everyone was having. He informed me that there was a big NASCAR race on tonight and he was missing it. Although Don didn't say anything, he wouldn't, I bet he felt just like Bill. He is a big racing fan. I don't know that I've been to a SPORTS GRILL before but it was great seeing maybe a dozen or so football games all at the same time on giant screens. Notre Dame got beat in a beautiful ending by UConn. How sweet it was. 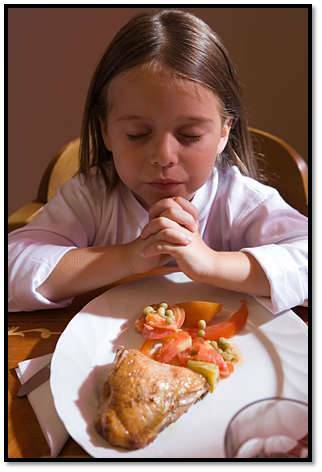 BYE-THE-BYE, we did establish something new in this sport's grill: Prayer! HA. I think someone said "Look, that table is HUDDLING UP". HMMMM Don't suspect they see a lot of prayer, at least not here. We made the plans for the progressive dinner to kick off YEAR SIX in 2010. Getting a date when everyone is available is difficult. We had to settle for January 2nd, a wee bit early. The Hatfields were busy with a lodge fish fry on the 8th and the Wilson's leave to winter in Arizona on the 15th. Carl and Joyce will already be in Florida by January 1st. Who does what, when and where? Each year we shuffle this up a bit. This year we'll start the evening out at 5:00PM with apetizers at the home of Bob and Kathy Hatfield, and from there go a few miles down the road to Don and Sally Wilsons for Soup. Back up the road, to Barberton and Bill and Carla Ludwigs for Salad and then, across town to Walt and Julie Pierce's for the main entre. Then, its down the road a few miles to John and Donna Murphy's for dessert. Carla, who is my "go to girl" in all my foolishness--and thats saying a lot--is in charge of keeping everyone moving. We take about an hour for the main course, otherwise its time as necessary to eat the course, see the Christmas Decorations and on to the next location. DO YOU ENJOY THIS KIND OF FELLOWSHIP? IF NOT, WHY NOT? Just ask a few couples if they would like to join with you and before you know it you'll be starting your sixth year. "A true friend unblossoms freely, advises justly, assists readily, adventures boldly, takes all patiently, defends courageously and continues a friend unchangeably".